This organic scented white tea, certified organic, is naturally sweet and has a strong fragrance of real jasmine blossoms. 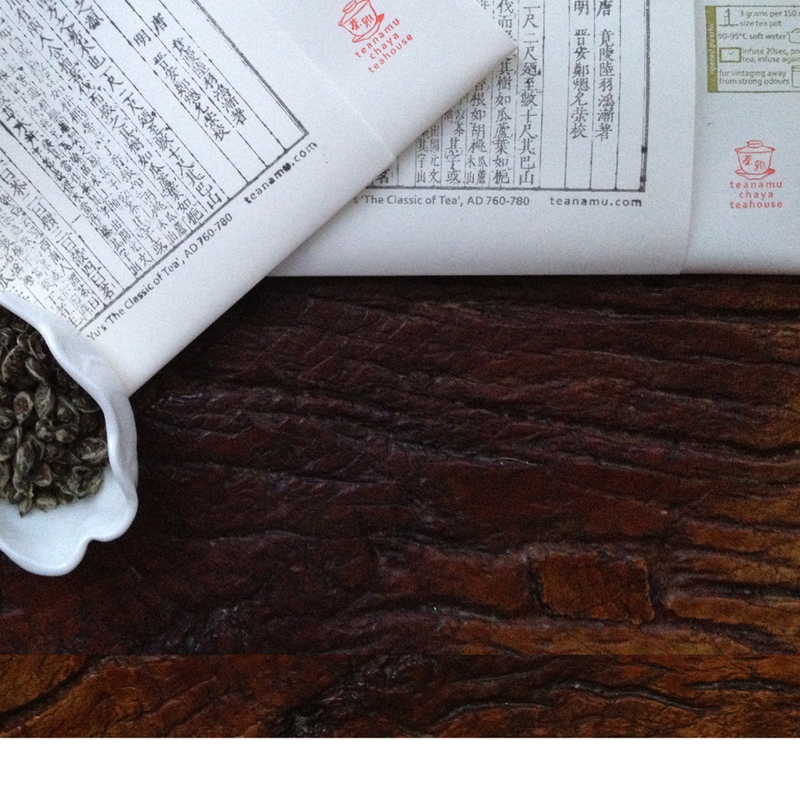 This intensely fragrant jasmine white tea hails from Fuding county in Fujian, southern China. Crafted from IMO-certified organic Da Bai tea leaves, our Organic Dragon Pearl Jasmine is made over two seasons, starting in early spring, when the hand-picked leaf buds are steamed, meticulously hand-rolled then dried and finished. The rolled tea pearls are stored till summer, when they are scented with fresh jasmine blossoms over seven consecutive evenings. The pearls gently open when brewed, giving forth a long-lasting jasmine aroma in a fragrant, smooth and lightly sweet liquor.